Hey guys what’s up? Are you looking for a tremendous longbow? Do you like SAS Pioneer Traditional Wood Longbow? Do you want to enjoy the techniques of quality archery? If yes, then You are in the right place. Let’s take a tour with the tremendous SAS Pioneer Traditional Wood Longbow. From our observation, when you come back home from shooting with the longbow you feel at peace. Because there is an achievement and full of joys. The draw weight, arrows, limbs, and risers are really nice. The accuracy and super performance make the bow great. We confirm you that you won’t find a longbow with the same quality. If you have decided to take the longbow, this will be a good choice. 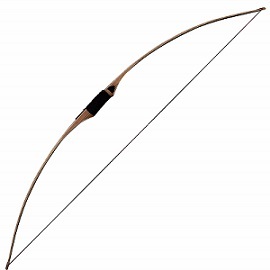 This type of longbow has the following draw weights: 35, 40, 45, 50 and 55 pounds. 35 lbs longbow is suitable for beginners. Because if you are a beginner it’s not possible for you to get a heavy bow. Mind it, you can’t change the draw weight like takedown recurve bow. If you have a strong experience in archery then you might choose a bow of draw weight 40- 55 lbs. 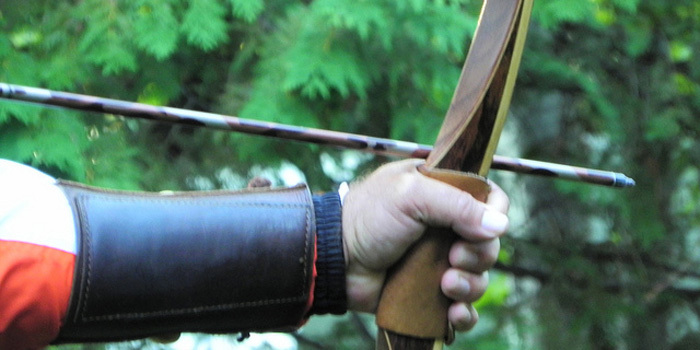 Riser and Limb are an important part of the longbow. Both Makore Wood and Cassia Siamea are the element of Riser. It looks good. It’s also sturdy. Maple and fiberglass are the elements of the Limb. It ensures the durability of the bow. It has super performance. All the feature doing their duties well. The bow is simple and complex at the same time. The power of the longbow depends on the draw weight and kinetic energy. You have a little hand shock when shooting the longbow. Compare to the other it is a simple hand shock. The main attraction of the longbow is accuracy. The accuracy made it great. The accuracy of the SAS longbow is fantastic in the higher distance. The longbow has a centered arrow shelf. There is a good combination of the features of the SAS Pioneer Traditional Wood Longbow. So all the parts the longbow perform pretty well. Arm protection is important for the beginner. We recommend getting an armguard safe a lot of pain. The string will pass very close to the arm when shooting. It’s not possible for you to feel anything at first for its speed. But you will feel pain after some time. Armguard safes you from the pain. The longbow is available for the right-handers only. If you looking for a left-hand bow, this is not suitable for you. Q: What is the draw length of the bow? Ans: The draw weight of the bow is 30 inch. Q: What are the materials of the bow? Q: What is the length of the bow? Ans: The length of the bow is 68 inch. Q: What is the width of the string? Ans: The width of the string is 16 strand b50. Q: What hand is this? Ans: This is right handed. Q: What is the length of the string? Ans: It depends on the type of bow. Generally 3/4’’ shorter than the bow length. So, dear Robin hood, you have chosen the SAS Pioneer Traditional Wood Longbow. Which is the most affordable and attractive bow that you ever saw? The long Bow fits your budget and choice. Beginners can enjoy it. Enjoyable shooting, accuracy, and power are the life’s mysteries of the bow. The bow has a unique height for the combination of the three features. We have a high recommendation to buy this awesome Traditional Wood Long Bow. Buy as soon as possible and enjoy. We can very well understand that if you buy this bow, you also buy the entertainment with it.